1.20ct Pear cut diamond engagement ring set in platinum. 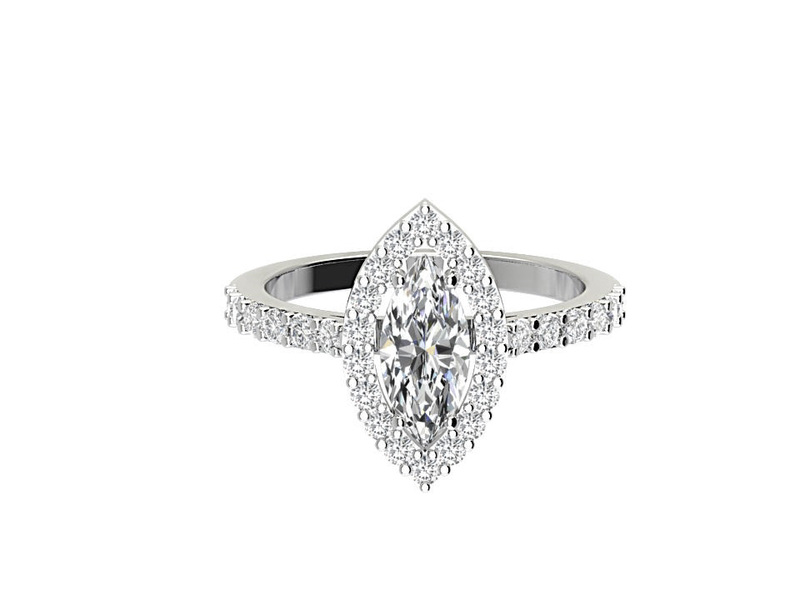 This ring is set with a 0.80ct pear cut diamond in the centre in a four claw setting. 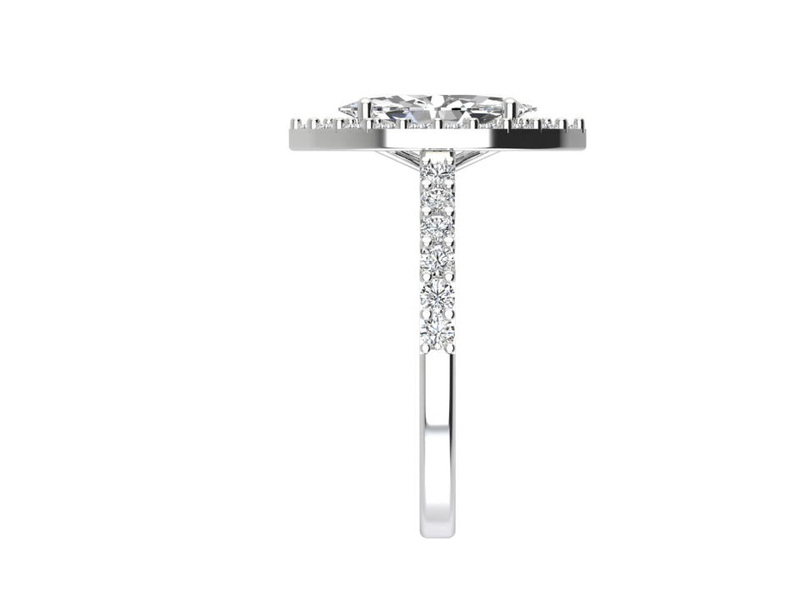 The centre diamond is surrounded by a halo of round brilliant cut diamond with additional diamonds on the band in a pave setting.